Gives the glowing daedric key a new model and icon. Thanks to Arcimaestro Anteres for showing me how to transfer an animated texture thingy onto new meshes. 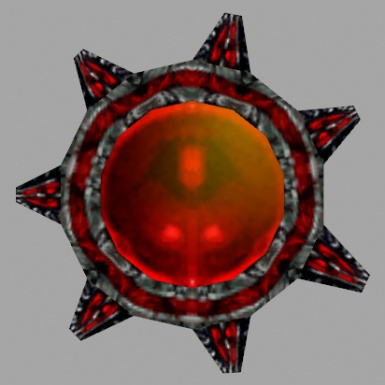 This mod gives the "glowing daedric key" item in Bloodmoon a retextured (with daedric textures) model. It also has an animated texture, so it will look like it glows! Includes a new icon. - pluginless replacer; no .esp required. Will conflict with any mod that edits the mesh and/or icon of the Daedric Key item. There shouldn't be any. If you find any problems, let me know. 1.0, 2011/3/12 - Initial release.